Butler Winery & Vineyard is hosting an evening filled with music, food, wine and…. FREEDOM! 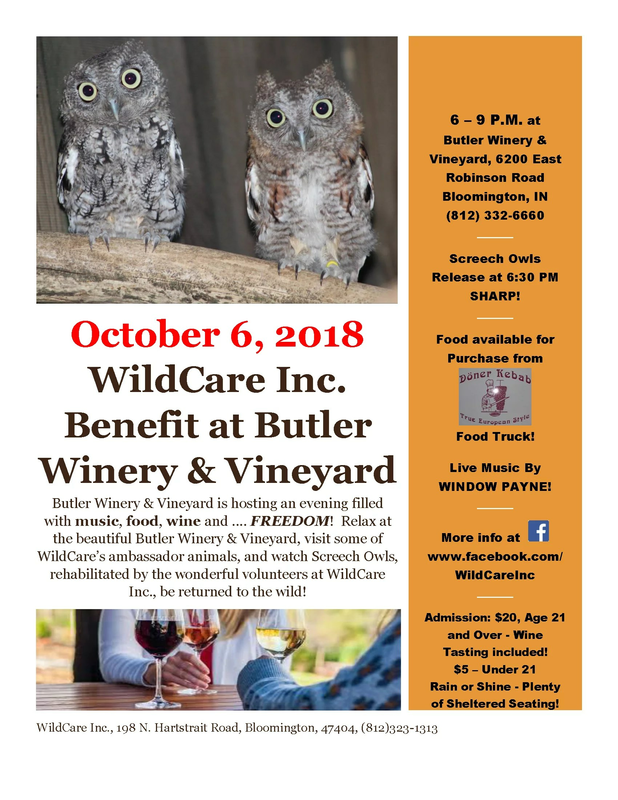 Relax at the beautiful Butler Winery, visit some of WildCare’s ambassador animals, and watch Eastern Screech Owls, rehabilitated by our wonderful volunteers, return to the wild! Admission is $20 for 21 and over (this includes a wine tasting!) and $5 for under 21. This event will occur rain or shine – Butler has plenty of sheltered seating!